This update is something of a non-update. The developers have still not followed up their pre-application ‘consultation’ with a formal planning application. 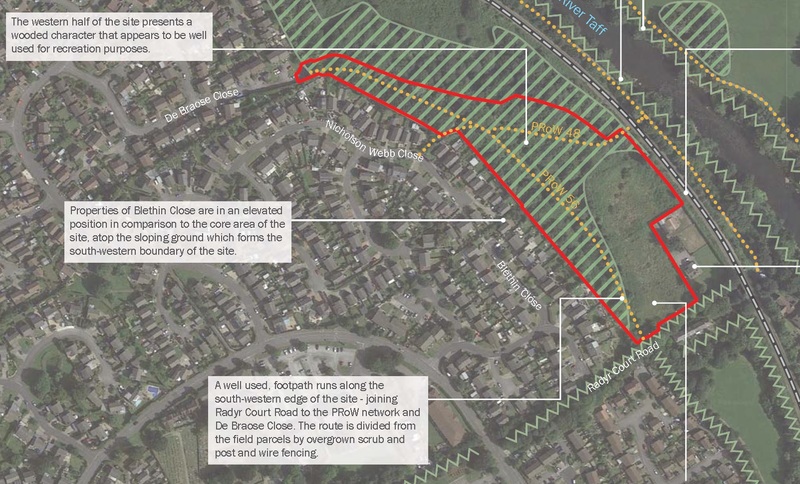 Cllr Philippa Hill-John has confirmed that no planning application relating to the land at De Braose Close will be considered before 2019. We await events next year, and in the meantime would like to thank all those who have supported the effort to ‘save our woods’ in 2018, and wish you a merry Christmas and a happy and peaceful 2019! Cllr. Philippa Hill-John has printed a further leaflet for distribution across Danescourt. We have 1500 leaflets that we want to deliver on Wednesday evening. If you can spare some time, please come to St. John’s Church Hall in Danescourt (Rachel Close) at 6.30pm on Wednesday, 29th August where we will divide into teams to split the work between us. 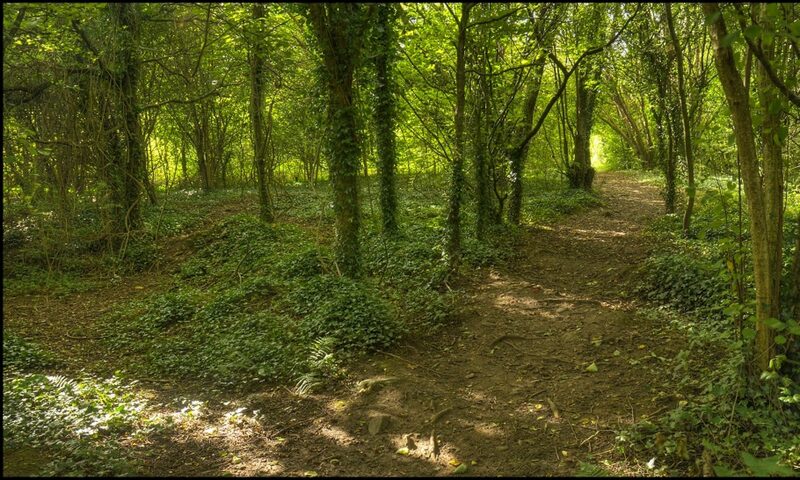 Cardiff Council is conducting a survey regarding a new Rights of Way Improvement Plan, and is inviting comments via a survey. Anyone who uses local footpaths and rights of way is invited to participate, so we would welcome a good representation of local users of the land that is under threat. Whilst your comments do not relate directly to any planning application, it is an opportunity for us to let the council know that we cherish our open spaces in this neighbourhood, and our rights to enjoy woodlands and open countryside near our homes. You can access the survey here, and there is an opportunity to leave comments, which you might use to reinforce our desire that the council sticks to its commitment of keeping the river corridors free of development, and open for the enjoyment of all. The survey is open until 31st August. Do you know about this site? Perhaps you have lived here a long time, and can remember, for example, the commitments that were made to preserve open spaces at the time the Danescourt houses were constructed. Or do you have some insights into past uses of this land? Or can you help with some expertise? The site is filled with bats, feeding or on their way to their favourite feeding grounds. Do you have expert knowledge of bats, or know someone who does? Or do you have expert knowledge of trees? The development will destroy many mature trees. If you can contribute some expertise, or know someone who can, please do contact us. Have you seen this flower? 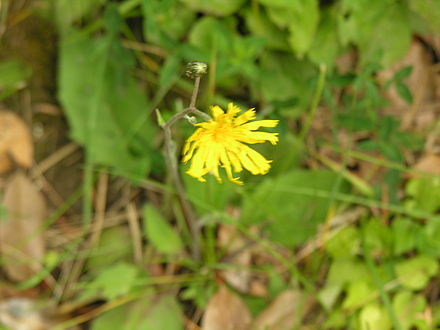 This is Hieracium radyrense, or Rady Hawkweed. I am indebted to Nigel Keene for pointing out that this very rare plant is only known to exist in and around the location of the old Radyr Quarry. This plant is quite likely to still be in flower this month, so if you have seen one in or around the site in question (the woods or the fields), please do take a photograph and make a note of exactly where it is (and let us know!). The plant has been seen in the past about 20 metres from the site, mainly on the other side of the railway line. If you want to read more, you can find an interesting article here. Here’s an A4 document you can download, print and put up in your window to show your support for the campaign to Save Our Woods. We have received advice that it would be premature to launch a petition against the proposed development before the planning application has been formally submitted to Cardiff Council. Rest assured that as soon as the planning application has been submitted and given a formal reference, a petition will be made widely available, both on paper, and for online signatures, on this web site. PMG 3 Limited have given notice that they intend to apply for planning permission to develop 40 houses on land at De Braose Close. This planning application has not yet been submitted. Prior to this, the developers are obliged to seek feedback from the local community. The deadline for this feedback is 20th July. We recommend that if you oppose this development you submit an email or letter making it clear that you object to the proposal, and giving a summary of your reasons. This will just be summarised by the developer when they submit their planning application. Once that happens, you should submit a much more detailed objection directly to Cardiff Council. And at that time there will also be a petition which we hope you will sign. Watch this space for more details in due course. In the meantime, please send your short objection to Mr Andrew Crompton, Development Director at PMG Limited. You can email this to him directly at andrewcrompton@pmg-plc.com or write to him at Unit 2a, Oak Tree Court, Mulberry Drive, Cardiff Gate Business Park, Cardiff CF23 8RS.